Last December when I published our article on Fast Souring with Lactobacillus, I had hoped that it would provide a useful overview to both hobby and commercial brewers interested in using sour mashing, kettling, or worting techniques. Personally, I have been blown away by the positive response that I have received from this article, which even now continues to be the most read, commented upon, and cited resource on the blog! 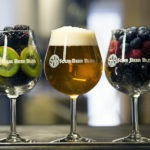 I believe that this success is due to both the dramatic explosion in popularity of the Gose and Berliner Weisse styles of sour beer as well as the proliferation of sour brewers within the worldwide homebrewing community. Over the past year, I have also received numerous emails from folks who have had their Lactobacillus-first beers go awry in one way or another. I love it when both sour beer fans and brewers contact me because it gives me the opportunity not only to teach, but also to learn from other’s experiences. I have seen trends in both questions and troubleshooting help which have led me to believe that the time has come to write a follow-up article to Fast Souring with Lactobacillus. I hope that it is both educational and useful! At this point you may be noticing that, in all paths, the beer is boiled before adding Lactobacillus. Many brewers may be asking: Why do I need to do this? Don’t mash temperatures pasteurize the wort? It turns out that in many cases, mash temperatures are not enough to fully sanitize wort. The strongest trend I have seen in all of the troubleshooting emails I receive is this: Beers that don’t receive at least a short boil before souring undergo far more problematic fermentations. In most cases, the preventative measures discussed in the previous article (temperatures above 115° F, pre-acidification to pH 4.5, and avoidance of oxygen) will prevent unwanted bacterial fermentations. However, these steps do not prevent unwanted fermentation by wild yeasts and this turns out to be a frequent problem. When beer is neither boiled before souring nor are these protective steps in place, any host of problems, infections, and off-flavors can arise. Wort chemistry and the physical dynamics of the grain / water mixture may provide some form of protection to microorganisms against inactivation by standard mash temperatures. A second major change is the recommendation to target temperatures during the Lactobacillus fermentation that may be lower than 115° F. In our previous article this temperature was recommended to discourage contamination by bacteria of the Clostridium genus. While I still advise using this temperature for “wild” Lactobacilli originating from inoculation by grain or other unknown origins, there are several lab cultured strains available that will not acidify the wort properly at 115° F. I have compiled a chart to help brewer’s target a temperature which will yield a fast souring of their wort based on the preferred fermentation environment of the Lactobacillus strains listed. Keep in mind that, when using some of these strains, we will lose the protective factor of high temperature and therefore both sanitation and the other precautionary methods available will become even more important to avoiding the off-flavors of contamination. It is important to remember that when Lactobacilli are creating lactic acid, they are doing so as a part of their normal metabolic growth and survival functions much in the same way that yeast do so when producing alcohol and CO2. While it is rarely discussed, this means that pitching rate is something that we need to consider. This is especially true when trying to troubleshoot a Lactobacillus fermentation that did not get sour enough or took longer than desired to get sour. There are two methods that can be used to ensure that we have an adequate pitch of Lactobacillus. The first of these methods bases the pitch rate on estimated cell counts per mL of wort. The second method is based on the volume of starter wort created and assumes that the Lactobacillus culture will reach a maximum cell density within that wort somewhere between 15 and 30 hours after pitching. I am comfortable recommending either technique because, when you crunch the numbers, both methods come out to yield approximately the same results. When calculating the amount of Lactobacillus to pitch, about 10 million Lactobacillus cells per mL of wort are required to sour a beer within 24 to 48 hours depending on the species or strains being used. This general rule was derived experimentally at the Gigayeast laboratory after testing a number of Lactobacillus strains under a variety of conditions. This estimate also very closely matches my own experimental observations of beers that have successfully soured quickly in my brewery. My observations have suggested that the pitch rate for Lactobacillus should match the traditional pitch rate quoted for ale strains of Saccharomyces: 1 million cells per mL of wort per degree Plato. 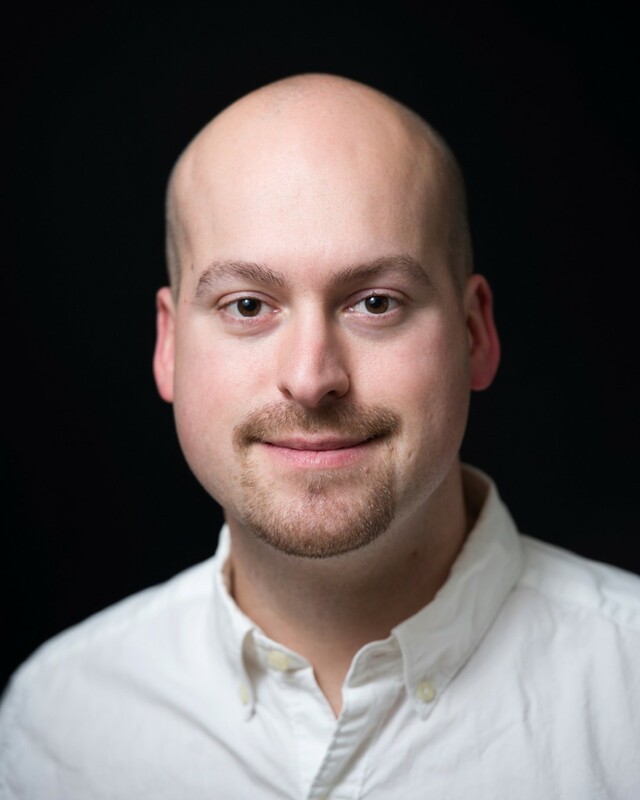 The second method for pitching Lactobacillus is recommended by Lance Shaner of Omega Yeast Labs. This method is based upon using Omega Yeast’s Lactobacillus Blend and involves the creation of a one liter starter for 24 hours before pitching. Lance has found that this one liter starter will typically be effective in creating robust acidification of up to 2 barrels (62 US gallons) of wort within 24 hours. A number of studies have found that when Lactobacilli are cultured in the lab using MRS media or other similarly buffered nutrient solutions, they can reach a maximum cell density of nearly 9 billion cells per mL of solution. However, the studies I reviewed also indicated that under non-ideal conditions (like in the starters we are capable of producing), the cell density of a solution would more realistically reach between 2 to 5 billion cells per mL. If you assume that the average Lactobacillus starter will reach a peak cell density of about 2 billion cells per mL within 24 hours, that yields a theoretical pitch rate of 8.5 million cells per mL when pitched into 2 barrels of wort. This estimate provides some theoretical validity to the idea that either method can be an effective way to ensure that enough Lactobacilli are pitched into a wort to ensure fast souring. A sugar composition of 2 to 3% w/v glucose, which has been shown to be optimal in stimulating Lactobacillus growth and metabolism. Enough buffering capacity to prevent the Lactobacillus from slowing their own growth via an over-acidification of their environment. Cool this starter solution down to the temperature preferred by the strain of Lactobacillus that you are culturing and maintain this temperature as best as possible for 24 to 36 hours. You want to seal the flask with a rubber stopper and airlock to prevent additional oxygen from entering the starter solution. I would recommend using a stir plate set on a low rotation. This low setting will help to encourage growth by increasing microbial access to nutrients as well as aiding in the removal of CO2 for heterofermentative strains. It is best to time your starter’s creation so that it can be pitched into the wort you intend to sour between 24 to 48 hours after making the starter. However, if this is not possible, follow the same guidelines that you would for yeast starters: Store the unused starter under refrigeration and use within one week’s time to maintain high viability. Lactobacilli do not quickly flocculate after fermentation in the same way that many strains of brewer’s yeast can. This means that to ensure fast souring you will need to pitch the entire starter volume into the wort. One caveat here is to decant the starter wort off of any chalk sediment at the bottom of the flask. Not all of the calcium carbonate will always enter solution in the starter and we do not want to pour this into the beer if we can avoid it. When creating starters, any fresh single pitch of a commercial strain will provide ample initial Lactobacilli cells to produce an effective starter within 24 to 36 hours, this includes single White Labs vials which contain approximately 1.8 to 2.7 billion cells per tube. One practical way to ensure that your starter culture is multiplying as expected is to monitor for turbidity changes. Much like yeast starters, Lactobacillus starters will become increasingly cloudy as the cell density rises. Recently, many home and craft brewers have begun experimenting with the wide variety of Lactobacillus strains or blends sold in health food stores as digestive probiotics. These cultures are not only cheap and easy to find, but also provide a wider variety of potential flavor subtleties when used in the fast souring process. If using liquid probiotics, you can use the cell estimates on the packaging to determine whether a starter will be needed. When in doubt, go with the starter. If using freeze-dried (lyophilized) probiotics (capsule forms), it is best to open up the capsules and rehydrate the powdered Lactobacilli inside using distilled water in the same way that dry-yeast packages should be rehydrated. After rehydration, I would recommend adding this slurry to a starter to ensure a healthy and adequately sized pitch. 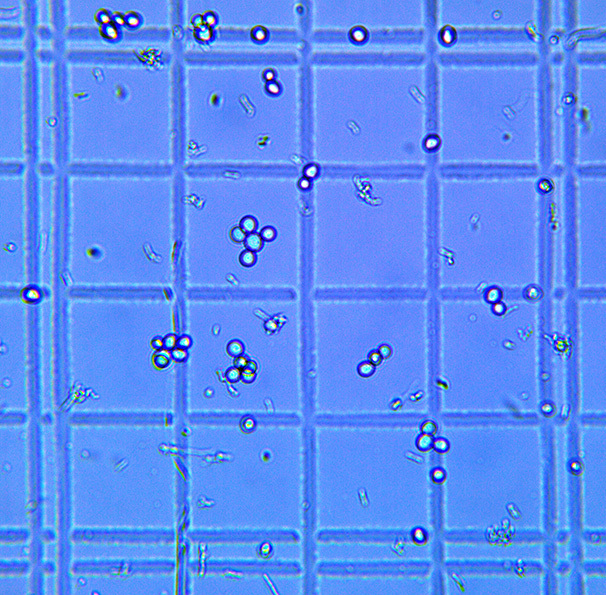 A microscopic view of both Saccharomyces (large round cells) and Lactobacillus (small rod shaped cells) in one of the author’s fast souring beers. After acidification to pH 3.45, this beer was fermented with WLP001, blended with fresh mangos, and dry hopped using galaxy hops. While both cell count estimates and starter volume estimates can be used to successfully ensure that enough Lactobacilli are pitched for fast souring, most brewers will find pitching based on volume to be more practical. Lactobacillus cells are much smaller than yeast cells and therefore they are more difficult to accurately count under a microscope. Additionally, different species and strains of Lactobacillus will grow to differing cell densities and at differing rates. Therefore, it is best to err on the side of caution. We want to ensure that we pitch enough cells to ensure fast souring, but over-pitching of Lactobacillus tends not to cause any significant problems for the brewer. Luckily, this is because, in our unbuffered worts, the growth and souring potential of Lactobacillus is a self-limiting process that will generally bottom out somewhere at or above a pH range of 3.0 to 3.4. If the lower portion of this range is more acidic than you would like to target, simply make sure to closely monitor your pH and end the souring process as discussed above when you reach the desired pH level. I have created the following table based upon the minimum pitch rates for the volumes of beer listed, but, if in doubt, pitch more. It is important to remember that a beer’s recipe, wort production, and fermentation conditions are all important considerations in the fast souring process. Starting with the mash, a beer’s ability to be soured quickly can be enhanced by producing a more fermentable wort through the targeting of lower mash saccharification temperatures. This is because most strains of Lactobacillus will preferentially consume the simplest sugars available, and these sugars tend to be formed in higher proportions at lower mash temperatures. The IBU level of a beer is such an important consideration when fast souring that I chose to mention it directly in the flowchart above. Nearly all commercial strains of Lactobacillus are extremely sensitive to hops. Even the more “hop tolerant” strains such at L. brevis tend to lose their ability to significantly acidify beers with an IBU level of 5 or greater. Luckily, as seen above, brewers can easily add hops to a beer by boiling after it has been soured. 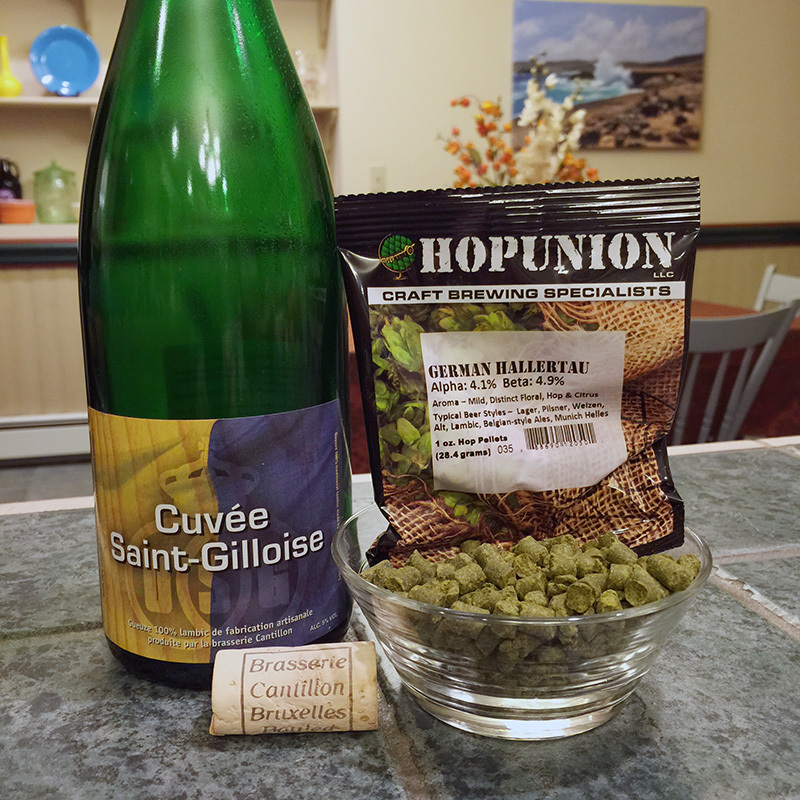 Alternatively, dry-hopping is an excellent option for adding hop character to a mature sour beer. Original gravity (and associated final ABV) is another important factor to consider when designing a beer to be fast soured. Any beer with an original gravity higher than 1.040 SG (10 Plato) will be soured more slowly or incompletely by Lactobacillus. When designing higher ABV sour beers, plan to allow the Lactobacillus to survive into the fermentation / aging vessel so that it can continue to slowly acidify the beer over a period of several months. While I wrote extensively about this topic in the article Fast Souring With Lactobacillus, it is such an important concept that it bears repeating. Lactobacillus-only fermentations should not smell like vomit, bile, parmesan cheese, stinky feet, or feces. The presence of any of these aromas before the addition of Saccharomyces or Brettanomyces is an indication of infection by an unwanted species of bacteria such as Clostridium butyricum. Additionally, medicinal, plastic, smoky, or phenolic aromas or flavors are undesired and are an indication of infection by a strain of wild yeast. It is normal for Lactobacillus acidified wort to smell sweet, bready, doughy, musty, buttery, vegetal, or reminiscent of sauerkraut. These aromas are due to byproducts of heterofermentative fermentation by Lactobacillus such as diacetyl and acetaldehyde. Some of the characteristic doughy and musty aromas may persist into the final beer, but any potential sweet, vegetal, buttery, and sauerkraut aromas will generally be gone after fermentation by Saccharomyces or Brettanomyces. Many of the commercially available strains of Lactobacillus can undergo heterofermentative fermentation, meaning that in addition to producing lactic acid, they can also produce alcohol and carbon dioxide. This fact has led many brewers to assume that these strains will sometimes nearly or fully ferment their wort before the addition of brewer’s yeast. While heterofermentative strains can slightly begin to attenuate a beer, a drop of greater than 8 points of specific gravity (2 points Plato) within 24 to 48 hours is almost always a sign of yeast contamination. Such contamination may not negatively impact the beer in regard to off-flavor production, but it may reduce the souring potential of the Lactobacillus through competition for simple sugars. 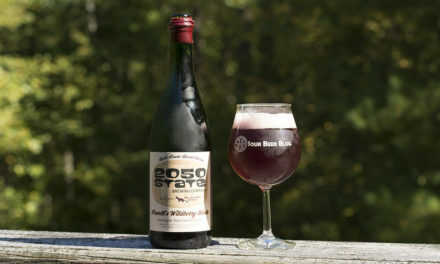 It is an exciting time for sour beer fans both in the United States and abroad. Worldwide, a greater number of craft brewers and homebrewers are beginning to experiment with sour beer styles than ever before. The ability to create flavorful sour beers both quickly and cost-effectively is a valuable tool for the versatile brewer. It is my hope that this article, when read in tandem with Fast Souring with Lactobacillus, will provide both home and craft brewers with a well-rounded understanding of how to produce delicious sour beers quickly while maintaining a high degree of quality. Aeschlimann, Samuel. “Evaluate Starter Media to Propagate Lactobacillus Sp.” Eureka Brewing. N.p., 18 May 2015. Web. 18 Nov. 2015. Carey, Erin. “Using Calculus to Model the Growth of L. Plantarum Bacteria.” Undergraduate Journal of Mathematical Modeling: One Two UJMM: One Two 1.2 (2013): n. pag. Web. Gu, SP, Z. Liu, and PZ Song. “The Measurement of Growth Curve and Generation Time of Lactobacillus.” Shanghai Kou Qiang Yi Xue 7.4 (1998): 226-27. Print. “Lactobacillus.” Milk The Funk Wiki. Web. 18 Nov. 2015. LACTOBACILLI MRS BROTH. Lansing, MI: Neogen Corporation, Nov. 2010. PDF. Siegrist, Jvo. “Lactobacilli.” Sigma-Aldrich. N.p., n.d. Web. 18 Nov. 2015. Tonsmeire, Michael. American Sour Beers: Innovative Techniques for Mixed Fermentations. Boulder, CO: Brewers Publications, 2014. Print. Zacharof, MP; Lovitt, RW and Ratanapongleka, K. Optimization of Growth Conditions for Intensive Propagation, Growth Development and Lactic Acid Production of Selected Strains of ‘Lactobacilli’ [online]. In: Engineering Our Future: Are We up to the Challenge? : 27 – 30 September 2009, Burswood Entertainment Complex. Barton, ACT: Engineers Australia, 2009: -. ISBN: 9780858259225. [cited 18 Nov 15]. Valík, Ľubomír, Alžbeta Medveďová, Michal Čižniar, and Denisa Liptáková. “Evaluation of Temperature Effect on Growth Rate of Lactobacillus Rhamnosus GG in Milk Using Secondary Models.” Chemical Papers 67.7 (2013): n. pag. Web. Xiong, Tao, Xuhui Huang, Jinging Huang, Suhua Song, Chao Feng, and Mingyong Xie. “High-density Cultivation of Lactobacillus Plantarum NCU116 in an Ammonium and Glucose Fed-batch System.” African Journal of Biotechnology 10.38 (2001): 7518-525. Print. I am a pharmacist, home brewer, lover of craft beer, exotic plants, nature, and travel. I created Sour Beer Blog to share my experiences, knowledge and passion for these awesome beers with the world. Many thanks for your great articles. Planning some undergrad experiments with kettle lacto souring and measuring some parameters. I really appreciate your articles on souring. I have some undergrads planning to do some kettle souring experiments with bunch of strains of lacto and measure various parameters during the souring. should be fun. Thanks Roy! That sounds awesome. It’s definitely an area of brewing that could use more research and solid data! Will be looking forward to reading your results in the future. In your previous guide to preparing a lacto starter, you did not add any calcium carbonate, but rather reduced the ph of the wort to 4.5. In this version you add a lot of calcium carbonate and do not mention reducing the ph. Could you elaborate on the reason for this change? The previous guide never gave specifics on how to create a Lacto starter. To be clear what I am talking about when referencing the Lacto starter is a small scale batch designed purely to grow a dense culture of Lactobacillus before performing the souring of our main batch of beer. The starter includes calcium carbonate to maintain a pH between 5.5 and 6.5, a range that encourages Lactobacillus cell growth and multiplication. On the other hand out wort which will become our sour beer is pre-acidified to 4.5 in order to prevent the growth of unwanted bacteria. This pH also significantly reduces the growth of Lactobacillus. This is why it is important to grow enough Lacto cells in the starter before being pitched into our wort. Thanks for the reply and for the great information. I got your blog confused with another one with that also had a starter guide. Am I right in understanding that the calcium carbonate will maintain the 5.5 – 6.5 pH even as the lacto is multiplying and as such I wont see a drop in pH? Finally is it possibly to leave the starter growing for too long? My pleasure Nic! You are correct, the goal of adding the calcium carbonate is to buffer the solution so that the pH does not drop while the Lacto is growing. This will be strain and cell density dependent, so the pH may eventually drop towards the peak of cell density in some cases. Yes, in stirred starter solutions for Lacto (or for yeast), it is possible to let the starter go for too long. In the case of Lacto, after the growth curve plateaus and the solution has run out of nutrients, the bacteria will begin dying off as a result of the number of cells being packed into a small environment and the buildup of waste products within that environment. The same thing happens with yeast just a bit more slowly since yeast have the benefit of creating stored energy deposits in the form of glycogen. If you leave the stir bar running for too long and the yeast stay warm and in solution for days after the nutrients run out, they will burn through their energy reserves and be much weaker to perform a healthy fermentation than they would have been if the starter was stopped and cooled right around the time the nutrients ran out. A follow up and another question. The starter seemed to go well and the kettle souring was a success, dropping from 4.49 to 3.1 in 3 days. I then carried out the boil, cooled it and pitched 1 pack of rehydrated s-04 yeast. I had assumed this would be enough due to the very low starting gravity. 2 days later i am seeing no signs of fermentation and no significant drop in gravity. I assume the acidic environment is making it tough for the yeast. Should i leave it for a while or pitch some more yeast? If so what type and how much would you recommend? I would recommend going with a pitch of either WLP001 or Wyeast 1056 scaled for a beer of double the gravity of your beer. 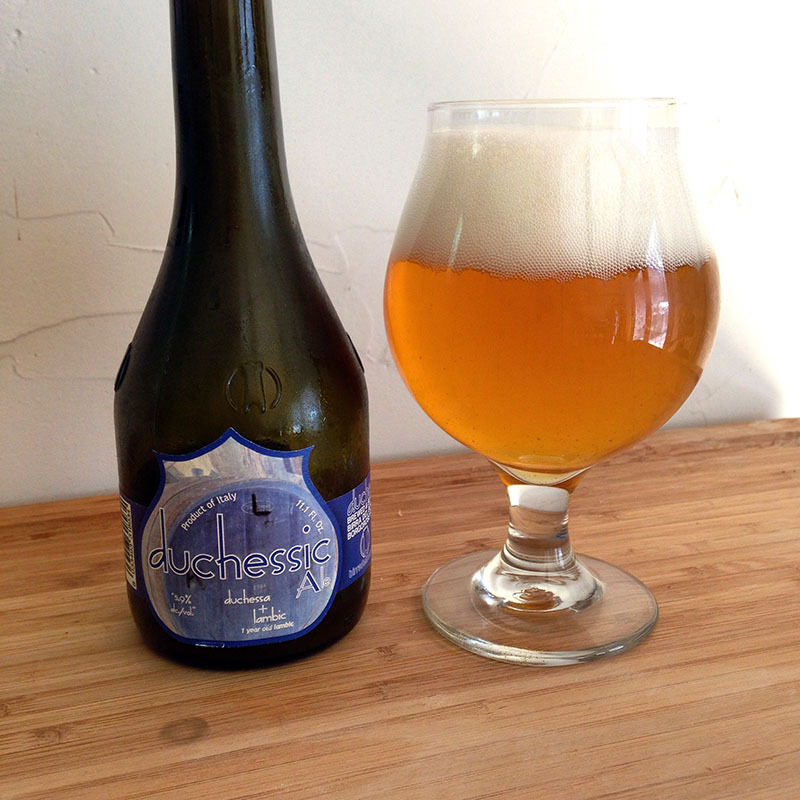 Alternatively, you could go with WLP644 (Sacc trois) or any strain of Brettanomyces to complete the fermentation. In these cases, you would also want to pitch at a rate approximately double what the yeast calculators will tell you. First off…just found your website and it’s great! I’m planning on brewing 2.5 gallons of Gose for my wife. This is my first attempt at any sour beer. I’m basing my recipe on the Milk The Funk Gose recipe, using OLY-605 to sour and then pitch Sacch Trois to ferment. My question is: can I get away with a direct pitch (no starter) of the OLY-605 with this 2.5 gallon batch? Thanks Steven! Glad you’re enjoying the site. Yes, a single pitch of OLY-605 should easily be able to sour a 2.5 gallon batch of wort within about 24 hours as long as it’s fresh. If the culture is more than about a month old I would recommend the starter. Your advice worked great and my beer (2.5 gallon Gose) soured perfectly to my taste (pretty sour)! Now, I fermented with a straight pitch of Sachh Trois and everything seemed to be going along fine. I pitched at 70 degrees and ramped to 75 over the course of maybe 5 days. Took a sample on the 10th day and it was down to 1.006. Upped to temp to 80 to let it finish out for another two days. Yesterday I moved it to a seconday to dry hop it and took a sample also (down to 1.005-4 range). The sour was great but I got a lot of cider aroma and taste (Acetaldehyde). Will this condition out or did I ruin it by pushing the heat too high or underpitching? Acetaldehyde should age out even after moving to secondary (although leaving it in primary would have been ideal) because Brett isn’t very flocculative and therefore there should be a fairly high quantity of cells still suspended in the beer. I would hold it at 72 for 2 weeks and taste it again. My guess is that the temperature ramping was a bit too high. I would shift every step down 5 degrees and test this on your next batch. If you haven’t dry hopped it yet, I would hold off until after the additional aging. Good luck! Thank you for the speedy response! I put it back into the ferm chamber at 75 last night…so when I get home I’ll drop it down to 72. I did dry hop…but I have enough to give it another round when I go to keg it. Hi Doc! Congratulation from Italy for your guides, they are really very complete and usefull!!! 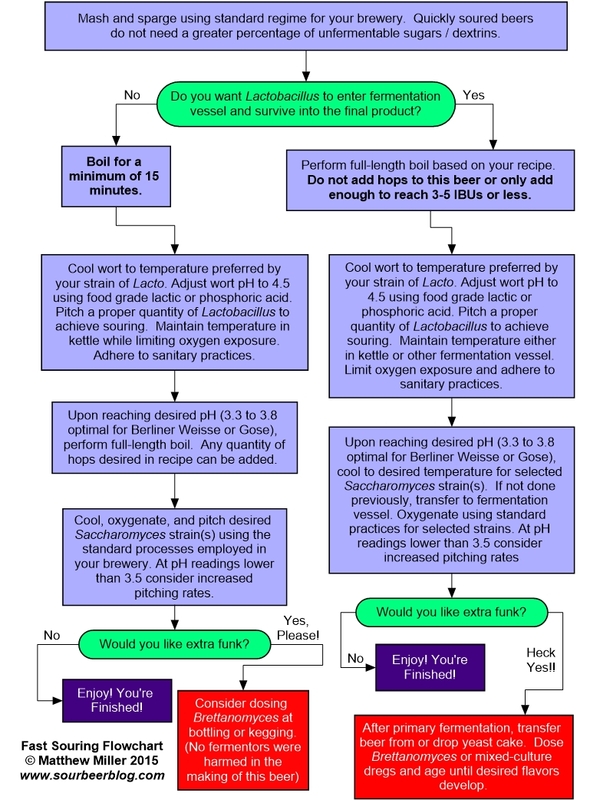 I’ve a question for you: What’s the starting cells count assumed in the “Pitching Guide” chart you’ve posted? I have to “kettle acidify” a 2,5 gallon wort using a Wyeast 5335 pack. The volume recommendations of the pitching guide are based on cell densities. While each strain will differ, most species and strains of Lactobacillus will double their cell counts every 2-3 hours after approximately a 6-12 hour lag time. Given these parameters, any commercial pitch (including the White Labs pitches which contain about 2.5 billion cells) will reach a maximum cell density within 24-36 hours after pitching into the starter. Trying to calculate the number of cells in the starter at a given time point based on starting cell count is not recommended due to a variety of strain specific variables that are difficult to accurately assess. When making a starter what is the cell count of the Lactobacillus going into the starter? When creating home brewing sized starters, any commercial pitch is adequate to reach the desired cell density within 24 to 36 hours. This is true whether you are using a 2.5 billion cell White Labs vial, a 20 billion cell Wyeast pitch, or a 150-200 billion cell pitch from Omega Labs or Gigayeast. Hello, thanks for the reply. I am referring to the fast souring pitching rate table. To make a 1BBL pitch use 1 pack of lacto and make a 2.5L starter? Yes that is correct. Remember that the best growth will occur if you can keep the starter warm, slowly agitated, and use calcium carbonate to buffer the starter against rapid pH drop. Doc- so ive been sampling the lacto strains for kettle sour (mash, 10min boil, acidify to 4.5, incubate, etc.) for a new brewery project. we’re gonna do alot of berliner style brews. ive tried white labs delbreckie/brevis, giga fast sour, blackman lacto/pedio, etc. generally, all been duds. so having little to no luck with commercial labs, i’ve recently been looking at using some probiotic pills. while i managed to find a few that are single strain, (l. plantarum, l.rhamnosus, l.gasseri) im also considering mixed probiotics as well. but- they typically all come with the lacto strains as well as bifidobacterium strains. is that ok? or should i stick with pills that contain only lactobacillus strains? Bifidobacterium are a family of symbiotic bacteria found in the GI tracts of most mammals including humans. They also have a role in the fermentation of certain varieties of yogurt and have a real affinity for milk sugars. It is difficult to say whether they will actively contribute to the fermentation or souring of wort but it can safely be said that they will be non-harmful to a drinker if they are used, so I would venture on the side of experimentation and give probiotics that contain them a try. That being said, I’m curious what results you are having with the commercial strains you have tested that you’re unhappy with. Are the beers not souring properly or are you unhappy with the flavors that are developing/not developing? Feel free to email if you don’t want to post your results directly to the site but I would love to talk more about this. Regardless, best of luck with your new brewery project! I’m a homebrewer living in China and I’m interested in trying to do kettle souring. Unfortunately there aren’t any homebrew stores here that supply lactobacillus which means I am reduced to using my own spit or a sachet from a yoghurt making kit which contains L.Plantarum and Bifidobacterium. 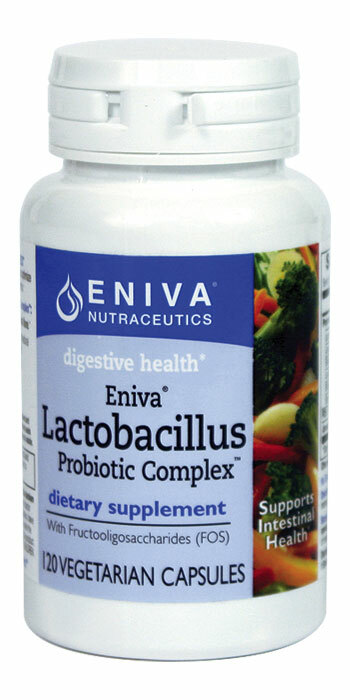 I’d love to hear what results you got from using the probiotics. Doc- Thanks for the great information! 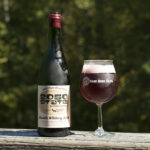 Between this blog and your involvement on the Brewing Network’s The Sour Hour, I have really been learning a lot about how to make quality sour beers! I’m a little confused on the pitching rate table that you added in this recent update. The note at the bottom of the table says to assume ideal growth for lab yeast cultures. So from that if I have a vial from Wyeast or White Labs, I would only need a 100 mL starter for a 5 gallon batch? I was under the assumption that a larger start of around 1 L would be needed. It may be that I am just confused by the chart, could you clear that up for me? The chart is meant to be a guide to help people estimate a pitch based on the required cell counts, which are then approximated to volumes based on the cell density of a starter solution under various conditions. If using homebrew marketed pitches like white labs vials without creating a starter, then you would want to cross-reference the chart in the article that shows average cell count per package for the commercial cultures listed. For example: a 5 gallon batch requires 190 billion cells for fast souring. While a single Gigayeast package containing 200 billion cells would be sufficient, you would need around 75 white labs vials to ensure the necessary cell count. This is why making a proper starter is so important for many of the most commonly used sources of Lactobacillus. I made a 1L starter using a tube of WLP672 L. brevis as you described, but without the CaCO3. The starter was sealed in a 1.25L PET bottle and kept in a water bath at temperatures around 40 C (104 F) for 48 hours with occasional agitation. After 48 hours the starter turbidity had increased and I harvested it. The starter aroma was bready, and suggested bacterial growth (I used to work in a bio lab) however there was almost no acidity to taste. I’m concerned that if my L. brevis culture is unable to sour a 1L starter in ideal conditions then it’s not going to be able to sour 5 gal of wort. Should the starter have finished more acidic? Should I be concerned? Thanks for providing a great resource, your posts have inspired this first attempt at a kettle soured beer. It may be concerning that the starter didn’t develop more acidity to taste but it’s not necessarily an indication that anything went wrong or that it won’t be able to sour your wort. In my experience, it can be difficult to accurately judge the acidity of unfermented wort by taste due to the high percentage of sugars still present. I would go with the other indicators of growth and assume that everything is on track at this point. In my opinion, the key to producing any good sour beer including kettle soured ones is to experiment with processes that will work for your system and then adjust. If the beer doesn’t develop enough acidity then next time use the same methods to produce your starter but make the initial starter bigger. Alternatively you can test different strains or souring times. Regardless, you’re on the right path. Good luck and happy brewing! Thank you for reading and writing in! Thanks very much for the quick reply, Matt! I’ll have a shot at kettle souring using this starter and just see what happens. Is potassium bicarbonate (KHCO3) interchangeable with the calcium carbonate used for the lacto starter to buffer pH? Also, I am planning on using wyeast german ale yeast as a primary strain after sour worting and was wondering if I should try to keep the fermentation temp in the recommended range (55-68F). I was planning on adding some brett in secondary anyway, do you have any experience getting high amounts of esters from a higher fermentation temperature? I don’t see any reason why potassium bicarbonate would not make a suitable alternative buffer. Let me know how this works out for you if you try it. I would recommend holding the Saccharomyces fermentation in the proper range. Going higher will produce more esters, which would generally be fine, but can also produce off flavors like fusel alcohols and other side effects of an unhealthy / stressed fermentation. My goal is always to provide each organism it’s optimal conditions during it’s stage of a fermentation. Hey doc, just made another kettle sour, but this one was a little off. After a 15min boil, cooling, pitching lacto, I was able to get the pH down to about 3.5 over a couple days. The wort tasted and smelled amazing. Immediately after the boil the wort developed a very intense grainy/cereal after taste. 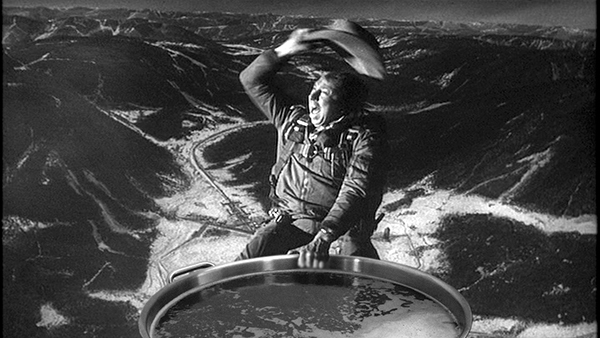 I’ve noticed this aftertaste on the more subtle side in commercial examples of kettle sours and sour mashes. Any idea where this aftertaste comes from and how to avoid it? Here’s some info on THP (the off-flavor you are referring to). great Website! Thanks for sharing all your knowledge. Really helpful! I’m about to brew my first sour ale, using the sour wort technique. Now one thing I’m thinking about – there will probably be some alcohol in the wort after it soured (I want to use a heterofermantative strain of Lacto). When boiling after souring, what happens with the alcohol? Will it evaporate (hope this is the right word for it), I mean, will there still be alcohol in the wort after boiling it? Most lacto strains used for quick souring will not produce any large amount of ethanol during their short ferementation. Even strains listed as hetero ferementative rarely ferment exclusively through this metabolic pathway. When you boil, the small amount of ethanol produced will evaporate, as ethanol is extremely volatile, hence why you don’t need to swirl a glass of scotch or bourbon to enjoy the bouquet. You will be pleasantly surprised when you take an original gravity reading post boil and see that it is very close to your anticipated gravity without the initial souring. Hope this helps! I just wanted to chime in on the pasteurization aspect of kettle sours. Pasteurization in the food processing industry is usually based on Pasteurization Units (PUs). This is why, as you state, “milk pasteurized at 145F for 30 minutes is sanitized” holds true. Without getting into the boring calculations, here’s the gist of it: to achieve the proper level of PUs you need low temps for a long time or high temps for a shorter time, which leads to an exponential curve for PUs. You can “flash pasteurize” your wort by holding it at a boil for mere minutes, whereas sterilization at lower mash temps or mash-out temps would take longer. Hope this helps someone out there and keep up the good work! I just wanted to thank you for all the info you have provided. 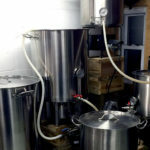 I never would have taken on brewing fast soured beer if it wasn’t for your blog. I have just completed my first fast soured berliner weiss and it all went great. Up until I pitched the Sacc, I used us05 11.5 grams. Which I guess was not enough as fermentation never got going. I’ve learnt my lesson and intend to try again doubling my sacc pitch rate as per your advice. Matt – have you done anything with re pitching Lacto from generation to generation? I’ve repitched cultures and I’m seeing a gradual decrease in lag time between pitching and acidification and the overall finishing pH from one batch to the next is lower. It gets to a point where it may be hindering fermentation by yeast. Any ideas what is going on? Are the bacteria becoming better at acidifying wort from batch to batch? My only idea to counter this phenomenon is to start over with a fresh bacteria culture from time to time. When repitching a mixed Lactobacillus and yeast culture I have seen similar results and heard similar results from professionals. This is likely a 2-part effect. The major contributor is generally a change in the proportion of Lacto to Yeast cells in the culture. Generationally, the bacteria will tend to continue to grow in number until they dominate the pitch. The second effect is a likely genetic/phenotypic change in the bacteria to become better at fermenting under the particular conditions of your brewery. Yeast undergo the same type of genetic/phenotypic drift. For the most part I avoid these issues by recreating successful mixed culture fermentations from individual pure cultures with each go-around. The more common approach used in the industry is to occasionally refresh a pitch by adding more yeast cells to it. Thanks for the quick reply. That is my easy no-brainer solution – to refresh with a new pitch from the yeast lab. I think the genetic drift is what’s going on (we keep a pure Lacto culture on hand to blend with yeast to our specs). I wonder if there is a way to combat the drift by using the bacteria in different ways from time to time, subjecting it to adverse conditions, changing the pitching rate, temperature, or if the drift is just an unavoidable fact of nature. I don’t have any data to back it up, but what you’re suggesting makes sense from a genetic drift standpoint. The more variation in each generation’s environment, the less pressure there would be for the population to drift in one direction or another. Thank you For this blog, I had a great time reading it. We have just started kettle souring a Berliner Weisse at our brewery and I was contemplating souring our kettle with Organic Nancy’s low fat yogurt. Curious to your thoughts on that? Can I use table sugar instead of corn sugar for the starter? Table sugar is likely to be fine in most cases, but corn sugar is being recommended because it is pure glucose, a simple sugar that every known strain of Lactobacillus can readily ferment. I’m using the Swanson’s probiotic pills of Lacto Planarum. I’ve used this twice with good results. Too sour for some but just right for my wife and I. I made a starter yesterday and didn’t pay attention to the details. All I had was 10 grams of chalk, forgot the yeast nutrient, only used tin-foil to cover the flask and stirred on the stir plate all night. I should have checked your blog before making it. Anyways…it smells fine…should I pitch it or make a new one? I’ve got everything I need to make the starter correctly. But would love to brew this evening. I would go ahead and use the starter you’ve already made. L. plantarum is generally a very aggressive souring species. Even if the starter was not ideal, this strain will generally catch up by growing quickly in the wort itself. Happy Brewing! Thanks for this comprehensive guide! Thank you for reading! When I think about pH stress on yeast, I think about it as falling in line with stress caused by other sources such as high ABV or high IBUs. While you can reuse this yeast, it will generally not be as healthy as yeast collected from non-stressful fermentations. That being said WLP001 is one of the more pH tolerant Sacc strains so it certainly wouldn’t hurt to give it a try. Good luck with your first kettle sour! I’m finally getting around to brewing this thing. I made a starter tonight, ptiching a probiotic drink containing a total of 40 billion L. Plantarum 299v cells (according to the manufacturer’s specs) into a total volume of 500ml. The starter was prepared according to your instructions, so there’s chalk and glucose present. I put it on the stir plate set on low, but since the fluid line is shallow (my only flask is 2000ml), I’m wondering if the vortex might be introducing oxygen into the starter. Anyway, only minutes after pitching, the airlock started bubbling. Do you think this is due to CO2 being produced, and if so could it be a sign of unwanted heterolactic fermentation? Some oxygen will certainly be introduced into any starter on a stir plate. While Lactobacillus doesn’t require oxygen, it is tolerant of its presence. This is why the recommendation to use a low rotation stirring is made because the benefits of the stir plate (giving cells equal distribution and access to nutrients) outweighs the detriments (oxygen introduction). As for the bubbling airlock, its impossible to say for sure, but I would bet this was either venting extra gas already trapped in solution or the large airspace in the flask was simply warming up and expanding. In either case, you would expect the airlock activity to stop shortly after it had begun. Continued airlock activity would be an indicator of either heterolactic activity or the introduction of an unwanted fermenting organism such as wild Saccharomyces. Well, it did stop for a while, and then started again. I had some trouble with the stir plate throwing the bar (it’s a homemade plate) when set on too low rotation (partly because it got stuck in all that chalk i bet). Anyway, I went ahead and pitched it today. Just hoping that any wild yeast possibly present won’t ferment out too much of the weak wort so that i’ll end up with a zero strength beer after the second boil. I did read that L. Plantarum may go heterolactic when introduced to oxygen and/or lacking food, and also converting lactic acid into acetic acid. The starter smelled ok when I pitched it, though it’s a bit hard to tell with the fruitiness of the probiotic. Anyway, thanks for taking the time to answer! 1) You wrote in another article of yours that brewers shouldn’t throw in new yeast strains before bottling. I was thinking of using champagne yeast before bottling. Why not? 2) I was thinking about the champagne yeast for bottling specifically to ensure I could bottle condition, but now I’m worried the pH might be so low that it’s a hostile environment and the yeast I used won’t be able to come back to life. Can lacto strains create ph conditions that are so hostile to brewers yeast strains that yeast become unable to bottle condition.? Awesome to hear that your sours are tasting great. When it comes to introducing new strains, the general concern is related to overcarbonation. I think that this concern raises incrementally as your Final Gravity raises. If your FG is sufficiently low (under 1.004 is pretty safe ground, 1.005-1.008 use more caution, above 1.009 is concerning), and has been stable for at least a month, then I think the addition of new strains is likely to be fine. The answer to your question on low pH being able to prevent bottle conditioning is a definitive yes, in fact it is a relatively common problem even amongst commercial sour brewers. Coincidentally, a researcher at Indiana University recently studied the problem. ( http://www.sciencedirect.com/science/article/pii/S0740002016301605 ). In summary, they found that if they propagated the bottle conditioning yeast for a generation in a wort that had a pH which had been reduced to about halfway between standard (assume pH 3.6-3.9), then it would have no problem bottle conditioning the more acidic target sour beer. When in doubt, it’s a great step to take to help ensure a healthy bottle refermentation. I am attempting to make my 1st kettle sour. I am doing 10 gal batch I did a quick boil and cooled to 115F I pitched 2 packs of giga yeast fast sour lacto. The pH was 5.0 before I started and now 18 hours later its still at 5.0 pH and its at 95F. I just read over the blog again and it says best temp is 85F-95F and to acidify to 4.5 pH.. So overnight the lacto didn’t seem to do anything. Did I screw-up by adding it on the hot side? Or not acidifying to 4.5? In most cases this should be fine. GB110 won’t start acidifying the wort until it cools to about 95 F, but the higher temps generally won’t hurt the bacteria. You should see the pH drop over the next 24 hours. If no change occurs within this time, you’ll want to repitch. Acidifying to pH 4.5 is a safety step to prevent off flavors and maintain better head retention. The step isn’t a requirement for healthy Lacto fermentation, just a precaution. Major Isovaleric Acid aroma.. Rotten cheese smelly feet. Plan for next time is to adjust the pH down to 4.5 and make a seal for my lid. Can you suggest a good starting place with Lactic acid 88% ml per gal of wort? I know the buffering of wort can be different. but just somewhere to start. Sorry to hear that the first attempt didn’t work out. I would recommend starting with about 1 mL per gallon of wort and recheck from there. Good luck! You can run the process either way with great results. I think that if you are not going to eventually pitch Brett, using the long boil after the Lacto ferment drives off more funky aromas and tends to create a crisper, cleaner tasting final beer. Whether that’s what you may be looking for comes down to personal preference. Thank you for your work on the Sour Hour! I brewed my first sour a few days ago using this article. I took the kettle souring approach then boiled it afterwards to kill the lacto. This is my first sour so I’m not used to some of these fermentation reactions. It took about 36 hours to get started using Safale US-05 which was much longer than I was used to. I’m now about 3 days in and there is a very light krausen with very little airlock activity. Is this normal? It just seems far more sluggish than what I’m used to during a typical ale fermentation. I brewed 10 gallons of 1.050 wort and pitched (3) 11g packs of rehydrated yeast split between the two fermenters. It’s at 65 right now under full temp control. I use PH strips and they end at 4.0 so I was only able to read PH just after the pre acidifying step. I then pitched the appropriate amount of good belly. After 36 hours I performed my boil. Tasting the wort afterwards, it was definitely sour but I don’t know what my PH was after the innoculation took hold of it. Does a low PH create a sluggish fermentation? Thanks. Yes indeed! You have correctly identified the issue. Saccharomyces fermentations do become more sluggish as the pH of the wort becomes lower. To a point, this can be combated by using higher than average pitch rates (2 million cells/ml/degree Plato typically does the trick) or by pre-adapting the yeast to acidic conditions by using an acidified starter. Also, I target my “diacetyl rest” or ramp up in temperature for the last 25% of standard attenuation. Good luck and happy brewing! I am going to be doing a gose using appropriate probiotics soon. I was planning on using apricots in the secondary. I was wondering if I can use pasteurized apricot juice to make a starter for the lacto? Pasteurized apricot juice will definitely work as a starter solution for Lactobacillus. Since this will be an unbuffered starter, your growth rates will likely mirror the numbers in the “low growth” table included in this article. Your blog is awesome thanks. I’m going outside the box here & want to make a “sweet & sour” beer by added crystal malts during mash. My question is, during a 2 to 3 day kettle sour, will Lactobacillus consume complex sugars, as I want these to remain in my beer. Also, if my OG pre-lactobacillus 1.040 what is my likely FG going to be after 2 to 3 days sour? i.e. This will be my OG pre yeast. Thank you Steven! Actually, most Flanders Reds are made using a portion of crystal malt. During a kettle sour the Lactobacillus will not consume complex sugars. In fact many of the melanoidin compounds in crystal malt will not be consumed by any microbes. In most cases you will not see any significant drop in gravity during a fast souring (Lactobacillus only) fermentation. A gravity drop below 1.035 would indicate that some yeast got into the mix as well. Thanks for a great blog and a great series of articles…these have really helped get into the whole fast souring lark. So, I’ve made a couple of Berliner Weisse gallon batches – using the fermenter-souring method. All goes well, I give it a quick ten minute boil to sanitize, then dose with lactic acid to 4.6pH or so before dropping it into the fermenter with the contents of two, three or four Swanson L. Plantarum probiotic tablets (I figure no starter is required as it’s only a gallon). Keeping the temperature above 20C, I get a pH of 3.4 or so within three days…which is great. Apart from one thing: three days seems long enough to bring on a more-than-healthy fermentation, which leave me not wanting to boil it at all. So I let it go. Two weeks later and we’re at 3.4pH, 1011 from 1047 (yeah, a bit strong for a Berliner…I know). It’s very gently lactic, has a pleasant grainy aroma and seems fine. I reckon it should be OK, but I’m interested in your thoughts? It seems to tick all of the boxes of “rightness” in my mind…but obviously hasn’t had a grain of yeast from me, has no hops in it and hasn’t been boiled for that long. Thanks again for some great reading! Thank you for the compliments and for reading the blog! Your results tick all of the rightness boxes in my mind as well. With your pH and gravity measurements, the beer is definitely OK in terms of safety to drink and whatnot. If there are no off-flavors then that’s great. The question still remains: where did the yeast come from? It’s difficult to say. I haven’t heard of people having issues with cross contamination from the Swanson capsules themselves. Chances are the yeast is coming from either the air or a small biologic reservoir in a piece of equipment being used. To the best of my knowledge, no heterofermentative strains of Lactobacillus have been found to be able to fully attenuate a beer. Thanks for this great information. It has been a lot of help to me in trying to establish where I have gone wrong with my souring. I pitched the contents of 8 capsules of L. Plantarum (each containing 5 billion cfu) into 6 gallons of wort at 115F. I had ore- lowered the pH to 4.3 using lactic acid. It has been 4 days now and the pH did nothing for the first 2-3 days. It is slowly coming down now and is sitting at 3.7. Do you think all of the above is necessary? I’m all for simplification. My pleasure, I’m glad it has been helpful! The biggest issue with L. plantarum is that it does not perform well at temperatures above 100F. I would recommend holding the wort between 90-95F. Also, rehydrating the capsules is a good idea and doesn’t take much time. Just like dry-yeast, rehydration will help more cells survive for the pitch. I wouldn’t bother making a starter when using the capsules, most folks that I’ve seen using them don’t and still get good results. Thank you for the great articles about fast souring. These gave me more confidence in trying my first sour beer using the kettle sour method. I also want to try adding some fruit puree. When would you recommend adding this to the beer? My thoughts were to add it while adding the Sacch yeast or possibly a week after primary fermentation has kicked off? Thanks for the help! Thanks for the question, I hope this helps! Cheers! 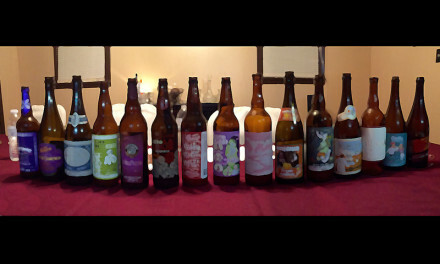 First off, thank you for all your contributions to advancing sour beer! Q: If you do not boil to kill of the lactobacillus AFTER souring should you skip oxygenating the wort before pitching saccharomyces cerevisiae? My thought is that the lactobacillus could create off flavors if you introduce oxygen while aerating the wort before pitching the saccharomyces cerevisiae. I understand that lactobacillus grows best in an anaerobic environment so should it stay anaerobic even with the introduction of saccharomyces cerevisiae? Also, will you be at HomebrewCon 2017? I have always oxygenated before pitching Saccharomyces even though I often have living Lactobacillus in the wort. My thoughts have been that the potential off-flavors from Sacc in a completely oxygen deprived wort would be greater than the off-flavors potentially created by the Lacto. I do think it’s definitely something that could be experimented with though. Pitching healthy Sacc at higher than average rates without oxygenation may be an alternative that produces nice results. Unfortunately I can’t make it to HomeBrewCon this year. I’m disappointed about not being able to attend this year, and will definitely be rejoining the festivities in 2018! Thank you for the great question and for your readership. Cheers! Thank you for the advice. I oxygenated the soured wort and split it with Wyeast 3711 French Saison and WLP029 German Ale/Kolsch yeast. I may dose with some brett depending on how each taste after primary fermentation. We will miss you in Minneapolis for HomebrewCon this weekend but see you in Portland next year. Cheers and I’m looking forward to enjoying some tulips of Mellow Mink beers! Came across this site after hearing your add on the brewing network. Glad I listened to that podcast because the above information is awesome. I plan to make a Gose in one month and plan to sour with Swanson’s L. Plantarum capsules. I start with 9 gallons of wort and boil down to 7 gallons for a final volume. These capsules claim to have 10 Billion Viable Cells per capsule. How many should I use with the above volumes? I’m all for making a starter but see that it may not be needed. How many would I need if I made a starter, and how many would I need without doing the starter? Thanks in advance. Cheers! Glad to hear that you found us through the BN! The pitch rate for the fastest souring would fall between 200-300 billion cells. That being said, you do not need to use 20-30 capsules to achieve a relatively fast souring using the probiotic you’ve chosen. I would recommend going with 5-10 rehydrated capsules and expect that the souring will take between 36-72 hours to achieve a pH level appropriate for a Gose. If you were to make the starter I would go with 5 capsules in a 1 liter starter. The general rule here is that the higher the pitch rate the faster you will achieve your desired pH, and the shorter time the beer spends with only Lactobacillus in the wort the less chance you have of developing unwanted off-flavors. If you’re pre-boiling the wort, using a pre-acidification to 4.5, and using generally sanitary practices, a longer souring period will also be totally fine and won’t cost as much up from in probiotic capsules. Thanks for the assist. I’ll go with a 5 capsule starter, pre-acidify to a pH of 4.5, 15 minute boil, chill to 90 F, pitch the starter, check for a pH of 3.0-3.4, and proceed to brew as normal. Thanks again. Cheers! I made the Gose using the above method with decent results. The lactobacillus worked quicker than expected and within 36 hours the wort was down to a pH of 3.0. So I need to be more diligent in watching the wort. The pH of 3.0 turned out to be too tart for some people’s preference. My question now is if I do a larger batch say 19 gallons of wort and 14 gallons going into fermentation would I need to do a 2L starter with 10 Swanson capsules? What I’m trying to get at is what would be the maximum number of capsules I could use in a 1L starter and at what point do in need to have more starter wort? Thanks in advance and thanks for the assist on my first kettle sour. Looking forward to doing my second. Hello! Great article. I have a question, normally I kettle sour with Omega’s plan/brev strain. 1L starter 24-48 hours prior depending on my schedule, always down to 3.3 range in 24 hours. Very pleased with results. Got me thinking though, as with Sacch I usually overbuild my starter and save some for my next batch(or sometimes wash post brew), can I do this or something similar with a commercial Lacto strain? Anyway for a home brewer to save some lacto for future brews? You certainly can store a portion of a Lacto starter/culture and grow it up for future pitches. A number of commercial breweries use this process. The biggest challenge will be keeping wild yeast out of the culture so that it remains purely Lactobacillus. Attention to detail and some experience with aseptic lab techniques will be your friends with this task. Any difference if making starter from non-fat Greek yoghurt? I’ve heard people get good results, but should i put it on slow spinning mode or leave undisturbed? Also, i’m planning to make so called “dessert berliner weisse” with lactose and fruits/dryhop later in fermentation, should i add lactose before souring or better after, while boiling for 2nd time? Does it change anything? Hi and thanks alot for your blog. 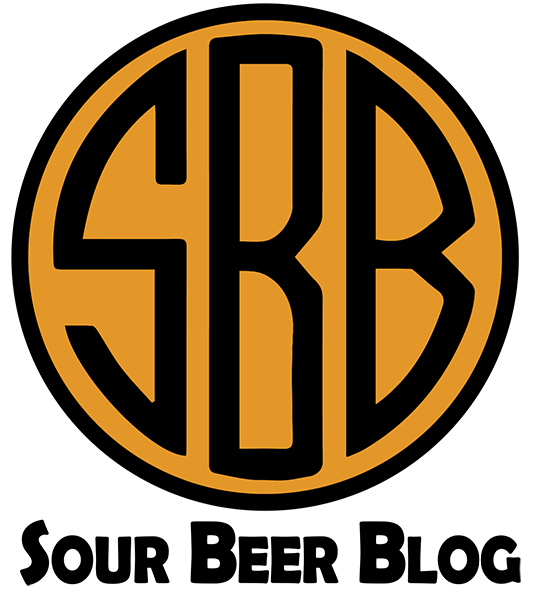 I am a home brewer living in Sweden who now, after 3 years, are taking my brewing “to the next level” when moving to sours. Your blog have really helped me get started and it contains a lot of helpful information not easily found elsewhere. Ok, my question: After the fast souring, I find my wort a little bit on the low side when it comes to OG (~1030-1035) which I guess is expected. However, I would like my ABV to be a bit higher when done. Would you say it’s ok to add sugar and malt extract to the second boil or are there any considerations around that? Thanks Mikael, glad to hear the blog has been helpful! You can definitely add sugar or malt extract to your second boil. I personally would go with malt extract for the extra gravity to avoid a very thin body in the finished beer. Adding malt extract will contribute some more buffers to the beer so it’s likely that you’ll see some rise in pH, but this is unlikely to affect the actual sourness of the beer (other than potentially giving more malt backbone to balance soften / balance the acidity on the palate). First up – great blog and a wealth of information. Well done and thanks! A question around the use of Calcium Carbonate if I may. I have read issues with solubility and specific statement not to use in brewing unless it has been fully pre-dissolved in water with CO2 (citing Bru’n Water). Is bicarb/baking soda NaHCO3 an alternative, or is the sodium component unwanted? You are correct regarding the use of calcium carbonate to adjust mash water profile. In the case of Lactobacillus starters, the calcium carbonate will not typically fully dissolve, but enough will dissolve to buffer the solution allowing for higher Lactobacillus cell growth. When the starter is ready for pitching, most advocates of this method simply avoid pouring the slurry at the bottom of the starter into the wort. Because Lactobacillus do not flocculate like many Sacc strains, you will not leave behind a large portion of cells by doing this. Sodium bicarbonate would make an effective buffer but is more likely in my opinion to negatively impact the flavor of the final beer. Hi, I’ve been brewing cider for a while now and was wondering if it’s possible to kettle sour a cider with Lactobacillus and how how that might be done quickly if at all. Thanks for your help and info. While I haven’t done this personally, I see no reason why the same techniques described here would not be equally applicable to cider. I would recommend using a strain of L. plantarum as this species tends to produce a fast and moderate to high degree of souring without producing a high degree of off-flavors. Trying this now — using Good Belly (plantarum) to try to sour cider. I offer this comment conditionally: Unfortunately I’m a newbie and didn’t have a pH meter to see where I started. After 5 days using the same methods and equipment that I’ve used to make sour beer, my cider is at 3.5 pH and hardly tastes sour at all. First good luck on your opening! A question about how to stop pH drop from lacto. I woke this morning to find that yesterday’s pitch of lacto plantarum went from 4.9 to 3.1 in 14 hours. I had it on a heater at 95 so my plan is to cool down as fast as I can and I added hops to help inhibit the lacto. Have you ever used hop additions to purposely inhibit lacto and am I on the right track? Thank you!! I have used hopped wort blended into a Lactobacillus soured wort to both raise pH and inhibit the Lacto from further souring. While I have not done it personally, I have read that others have had luck using dry-hops to inhibit Lactobacillus. Your plan is spot-on. Both the hops and temperature drop should inhibit further souring. If you want to raise the pH before fermentation, you can consider making a second hopped wort to blend in as well. Most Lacto starters will show no (or very low if a heterofermentative) signs of fermentation. Typically you will see an increase in turbidity (haze) in the wort but this can be difficult to see also depending upon the clarity of the wort to begin with. Without breaking out a microscope, assume that you’ve got good growth by the 48 hour mark. You can also smell the flask, a vegetable-sweet-sauerkraut aroma is often a sign that significant growth has occurred. Great article – one I have I read a number of times, and had great success using starters to sour wort with! Just a query regarding the amount of chalk in the starter – why 20g? Each of the starters I have done using this amount have left substantial amount of undissolved residue behind, which seems excessive, or is that that even though it isn’t dissolved it has been still been spent buffering the solution? Like you allude to in the article, I’m careful not to tip any of this into the wort, but some usually gets in. Any reason I couldn’t adjust the amount of CaCO3 down to 10 or even 5g? I see no reason that you couldn’t reduce the amount of CaCO3 to 10 or 5 g. The goal is to provide enough to buffer a continuous production of lactic acid by the Lactobacillus. Having some undissolved is a good thing, it visually proves out that there was enough CaCO3 present to provide more than adequate buffering. I agree with you though that if a significant amount is remaining after growth, you can reduce the starting amount. Hello! This is AWESOME! I was in the process of putting it all down in flow sheet form on paper so that I could visually see what I’m to do for my first sour… but along you come and take all of the hassle out of it for me! Thanks! My question is… I have a 15G setup… 3 Packs of 5335 .. I now know that I do indeed need a starter for such a size, but only have 2 flasks and one stir plate… Is it safe to do 2 one day (rotating them on and off the stirrer) and then combine them and do the other the following day? Also, seeing as how I have these 25 gallon BK with lid… Would it be safe to Mash/Sparge, Boil for 15 min then do I let it air cool to 95ish, or do I take the chance of running it through the chiller to make sure I have it down to temp as fast as possible… Then Set the temp on the controller, pitch the bacteria, cover with saran-wrap, sneak the Co2 line in there to drive off any Oxygen and then sit the lid to create a tight seal? Thanks for any info, and even more so for taking the time to explain your expertise to us! Glad you found the article useful! I would recommend using one pack of 5335 in a 2 Liter starter (created 48 hours before pitch) for your 15 gallon batch. This will produce more than enough cells for a 15 gallon batch. The remaining packs can be saved or returned to your LHBS if that is an option. As for wort cooling, you can use either method as long as you are generally careful with sanitation. On the homebrew scale, I would always transfer boiling wort into a stainless keg and allow it to air cool. 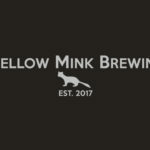 At Mellow Mink we pump the wort through a plate chiller to cool before kettle souring. Both methods are fine as long as the tools in use are clean and sealed properly. I personally would not bother with Saran Wrap. I think it’s a waste of material and provides no real additional benefit over a tight fitting lid. Wyeast 5335 can be a bit slower and less aggressive in souring than some of the other strains on the market. Don’t fret if it takes 72-96 hours to get into the 3.4-3.6 pH range. Good luck with your first sour!! Cheers! 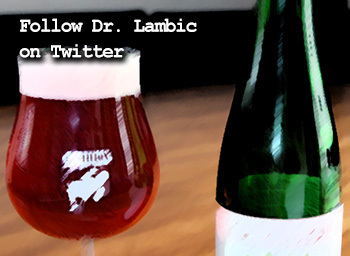 Dr. Lambic Is Opening A Brewery! Subscribe to recieve new posts and occasional sour beer news via e-mail. 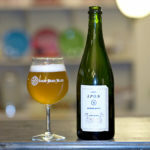 A website about sour beers, farmhouse ales, and funky fermentations. 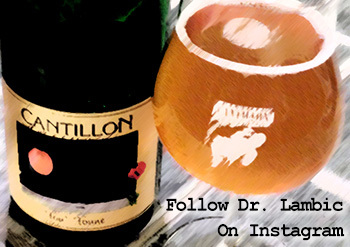 This blog features education, news, and reviews about sour beers, lambics, and craft brewed wild and farmhouse ales. I am a passionate sour beer enthusiast, reviewer, and brewer with a doctorate in pharmacy and a background in microbiology and organic chemistry. I have created this site to celebrate the diverse world of sour beers. Cheers! 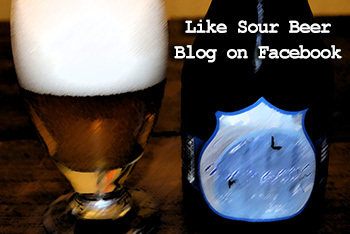 Subscribe To Sour Beer Blog! Join our mailing list to receive our latest posts and occasional sour beer news via email.